As Drs. Bloom and Williams have told thousands of patients, many eye diseases present no signs or symptoms until it’s too late, when the damage is irreversible. That’s why they also try to provide a comprehensive, dilated eye examination to identify any issues before they become serious. A comprehensive eye exam can also detect health issues that you might not associate with your eyes, such as high blood pressure and diabetes. 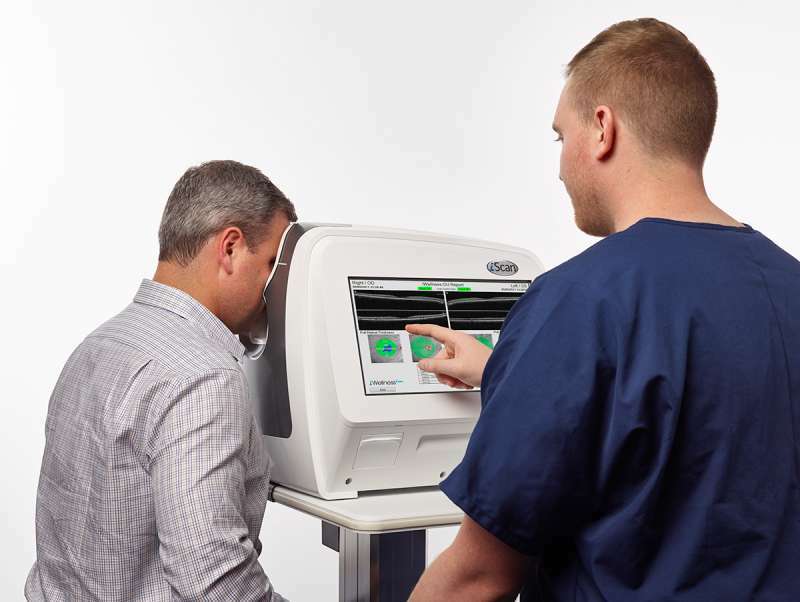 When our doctors examine patients, they assess each patient’s overall health, not simply your eye health. That’s we’re introducing a new iWellness scan technology as part of our exam. It’s completely painless and non-invasive — think of it as an CT scan of the eye that provides a detailed scan of each layer of the retina. This unprecedented detail allows us the best change at early detection of sight-threatening diseases such as glaucoma, macular degeneration, diabetic retinopathy and others. These conditions generally have no outward signs or symptoms in early stages. The iWellness exam is quick, too. Our technician can perform it bas part of your preexam testing and your doctor will review the results with you during your regular examination. The co-pay is lower than you might expect but it is typically not covered by your vision or medical insurance unless being used to actively follow disease. This charge will be added into the cost of your visit. Any questions you have about iWellnessExam and the results of the test can be discussed with the doctor during your examination.